"The Microprocessor" one of the marvelous inventions, that propelled humanity towards the technological revolution that is happening today..
Have you ever wondered....what's it is like inside of a processor..well this one guy, a science teacher has taken an old Pentium III chip and cut it open, to get a better look inside. He managed to removed the core from the package using a power saw and used a scalpel to open the actual CPU cover. 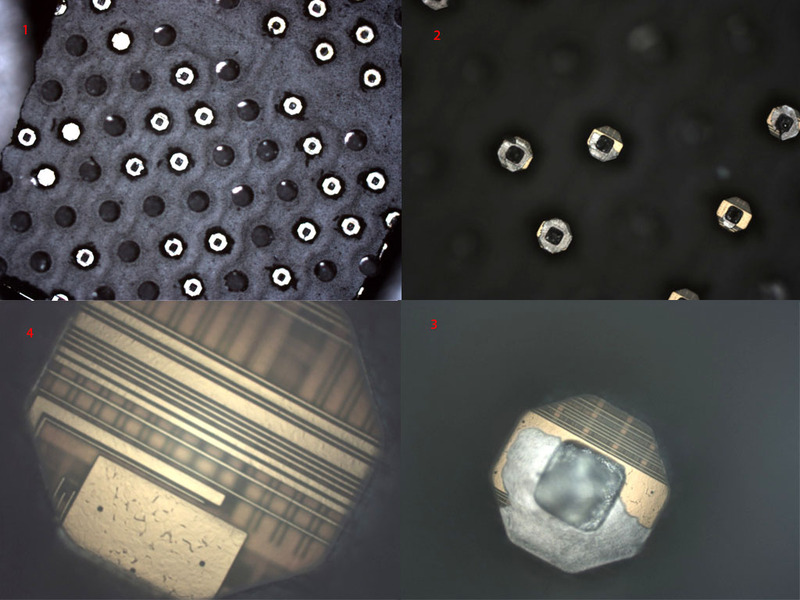 The interesting part begins with images that were taken using an optical microscope, enabling him to peek through the holes of the cover to see the connecting points between the CPU and the circuit board. The optical microscope took him close enough to see the different layers of the chip. Since optical microscopy doesn't show very much detail, to take a more closer look he cut the chip in to pieces and loaded the chip into a scanning electron microscope (SEM). close enough to actually see the transistors, but provides stunning detail of the CPU, even at a 10,000 nm level. Go to sciencystuff.com for more pictures and Details.